As a small city, Xiamen is a multicultural University Town, as well as a Temple Town with Xiamen University (or XiaDa as locals like to call it) and Nanputuo Temple among others. Despite its size, you’d be surprised at the wide array of activities Xiamen has to offer. For starters, Xiamen city itself is surrounded by beaches and mountains, which are literally just minutes away by car. Summers can get really hot, but the weather beginning November up to February can reach 10 degrees Celcius or lower, making the beach less crowded and perfect for prenuptial wedding photos – a manifestation of China’s growing USD $18 billion wedding industry. 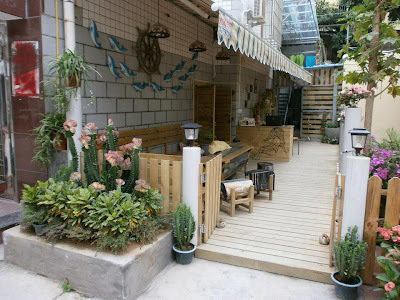 I stayed at Zengcuoan, Siming which is the B&B/tourist inns district of Xiamen where you can find comfortable accommodations for as low as 100 RMB per room per night. 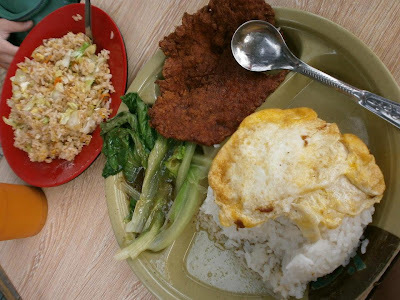 Naturally, the cost of living and commodities are also budget-friendly. Local diners offer huge servings at 8-12 RMB for set meals, which can be good for sharing. Xiamen also has a very inexpensive yet efficient transportation system with most if not all bus routes at just 1 RMB, although bus stop signs are written primarily in Chinese. Cabs are cheaper than in major Chinese cities, and their "subway" is interestingly a bus system making use of exclusive highways. As a first-time traveler to Xiamen, I just had to go to the established tourist spots which fortunately were in proximity of each other: Zhongshan Road and Gulangyu Island. Zhongshan Road is Xiamen's popular shopping district, much similar to Shanghai's seemingly endless Nanjing Road but perhaps with a noticeable difference: Zhongshan Road has snack food (Xiao Chi, literally "little eats") stalls at every corner for you to sample. Across is the ferry station going to Gulangyu Island, an immensely popular domestic tourist attraction among the Chinese which is kind of like a cross between Macau's Senado Square and Tianzifang in Shanghai. Here, you can buy a "passport" notebook which allows you to visit the shops and have it stamped just like a real passport – all the more reason to spend an entire day on the island. Once your feet start aching, it’s probably time to head back for a relaxing cup of coffee. 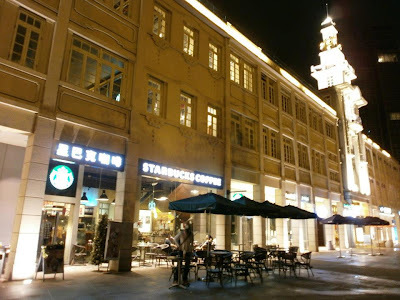 At five storeys high, China's biggest Starbucks is surprisingly not located in Beijing, but here along Lujiang Road as shiploads of people embark and disembark from the ferry at any given time. If you plan on staying for a month, it’s probably not as easy to be homesick given the presence of Philippine brands like SM Malls, Robinsons Galleria Mall and Bench Body, thanks to the taipans who probably wanted to be in touch with their ancestral land in a more grandiose fashion. And with direct flights from Manila courtesy of Cebu Pacific and Philippine Airlines, Filipinos flying to a home-away-from-home has never been easier. Perhaps the most significant reason to visit and keep coming back to Xiamen is because it possesses the conveniences of a peaceful urban city while maintaining its dedication to Chinese culture, art, and the preservation of the environment. Underrated and affordable as Xiamen currently is, she isn’t quite as international on certain standards yet – which is why we can only expect more to come from this ever-growing quick getaway. Xiamen is a mere 2 hours and 15 minutes away from Manila. 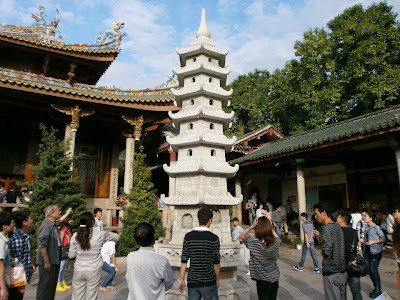 The author’s main motivation in taking this trip was to visit his late paternal grandparents’ birthplace, Gulangyu Island. Ohhh I miss China. It has been a long time since I lived there. We also went to XiaDa and Naputuo Temple. Temples in Xiamen are too many and I just like the ethnicity of their food and "provincial structures." Now na daming airline promos going to Xiamen, nate tempt ako na mag book. Hindi ba mahirap kumuha ng Visa? I never thought Xiamen was this beautiful. It's definitely a city worth traveling to. Great job on this! Xiamen is known for its scenery and tree-lined streets and its making a name already. What an ideal getaway destination. direct flight are the best ever! i hate when i fly with stopovers but it is just so hard to kill time when you're so tired. love the starbucks there! hope to be visiting in the future! I think Xiamen is among the top China cities to visit alongside Shanghai, Beijing and Guangzhou. Xiamen is a by-name travel destination nowadays. My only concern is What if a tourist doesn't know the local dialect, are the locals nkow how to speak English? The author has described Xiamen so well, I can almost imagine the place. 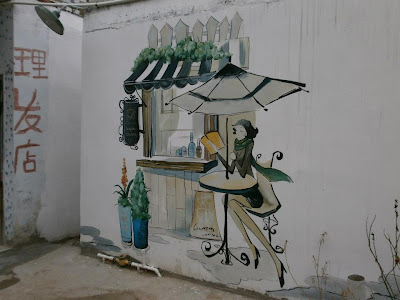 I haven't been out of the country or to many destinations in our country but blogs like yours make me feel like I've gone to many places :) This is a nice place to visit - even just in my dreams :D I love the painting on the wall! I always want to go back to China since my first business trip in Shenzhen. I'm planning to go to Shang Hai and Beijing next year because many people told me its a really cool place. It's a good thing that I've read your blog post, because China is a huge country and I believed that there's still many cool places I need to check out. Oh a peaceful urban city! 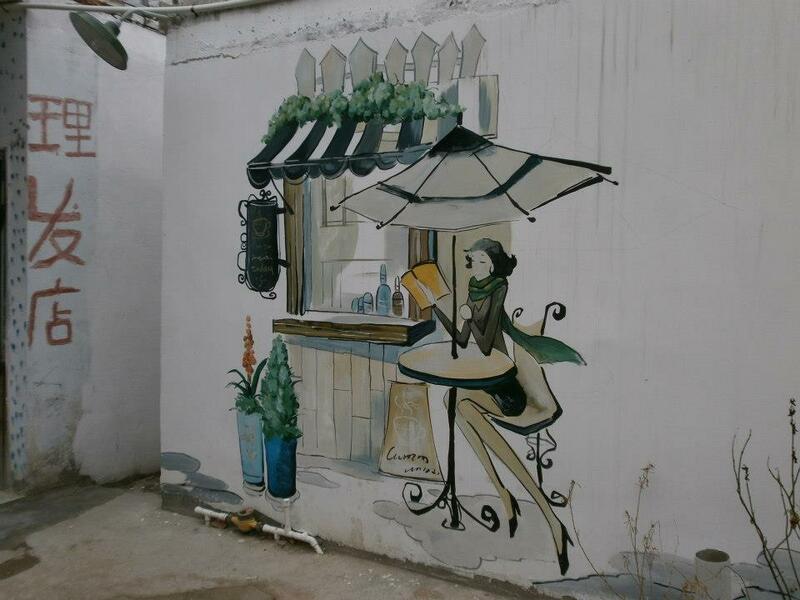 Everyone wants to be in a place same as such :) Xiamen is definitely a must-visit! I ve heard of Xiamen from my chinese friend and co worker . and say it is really beautiful there esp. during winter season .. wish to visit know the culture of this place too. Xiamen is one beautiful place.. it has a really diverse culture! I still haven't been to China, but I have friends who've already been to Xiamen and loved the city :) I'll definitely include it in my itinerary should I visit China some time soon. Awesome! Xiamen is a nice place for sightseeing. I had a great experience of Xiamen city before long time with my friend Lisa through the bus tour. 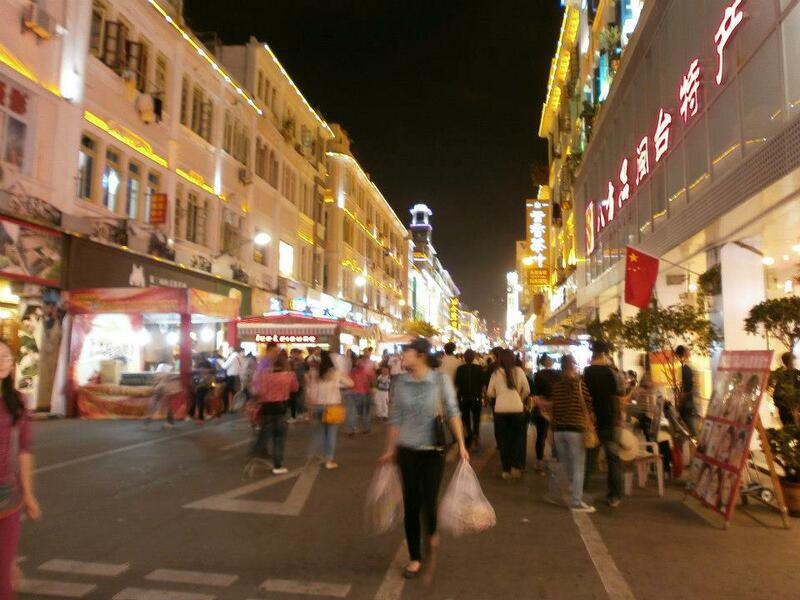 We had shopped from Zhongshan Road. 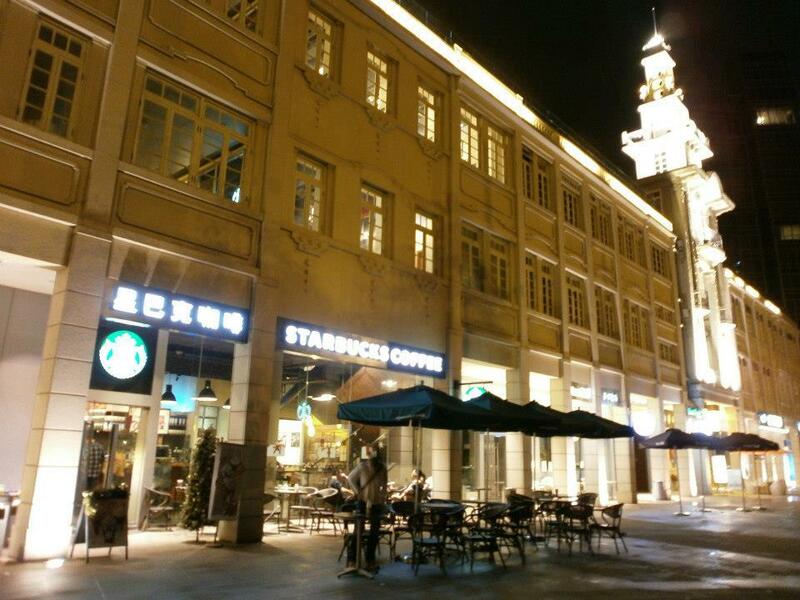 Zhongshan Road is Xiamen's popular shopping region, much similar to Shanghai's apparently endless Nanjing Road.